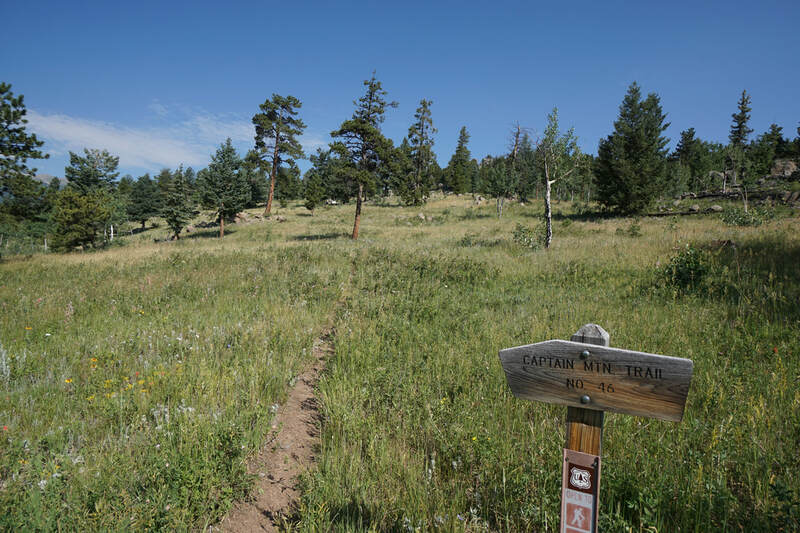 Note: This hike is only open from June 15th to Labor Day. DIRECTIONS: ​From Denver, take I-70 West to Evergreen Pkwy. exit; go 6 miles South on Hwy. 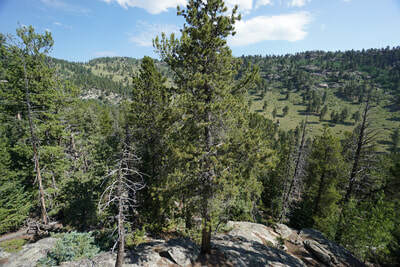 74 to Evergreen Lake; turn right on Upper Bear Creek Rd. 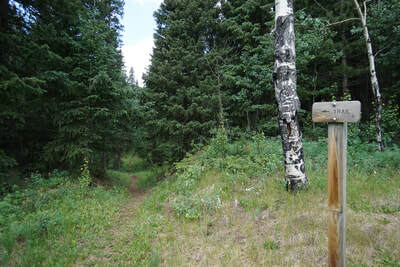 Go 6.5 miles West; turn right again on Upper Bear Creek Rd. 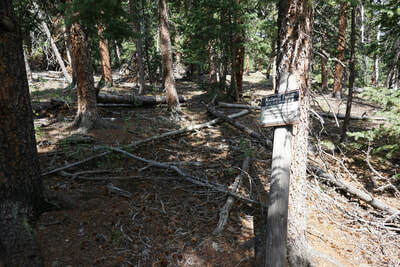 (CR 480) and go 3 miles, following signs for SWA. 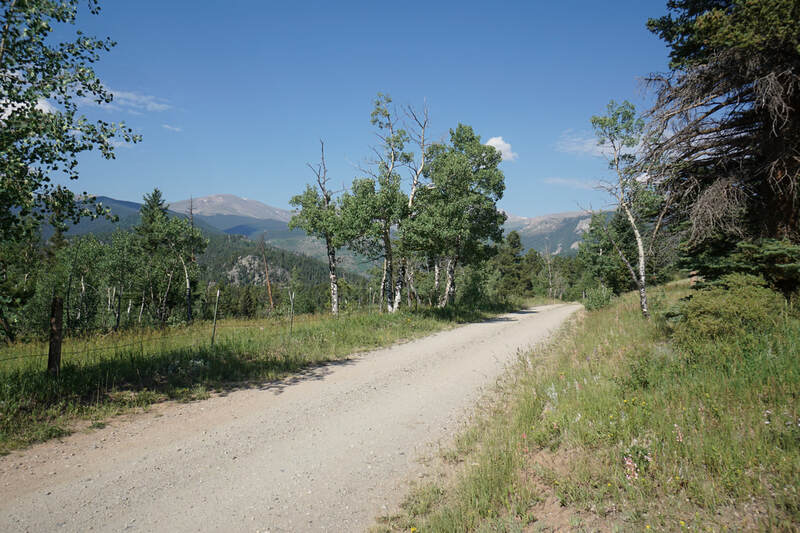 Enter the SWA and continue on the narrow, steep, but well maintained dirt road for about 3 miles to the Captain Mountain Trailhead. 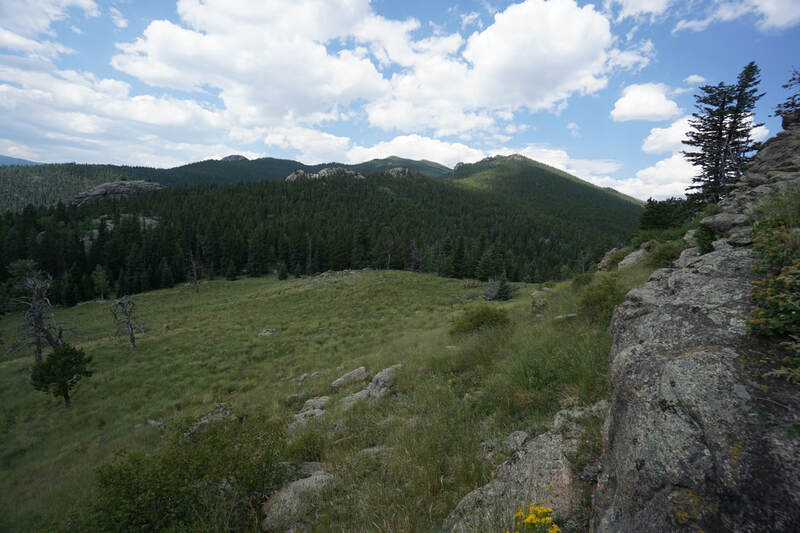 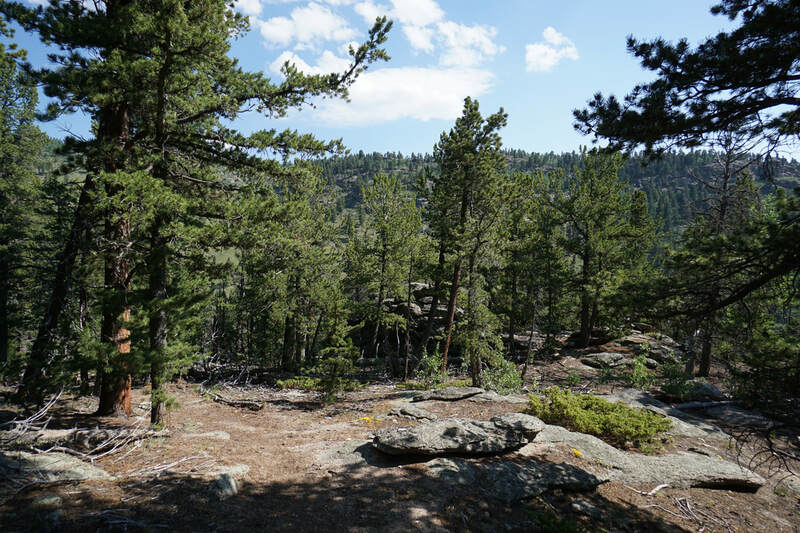 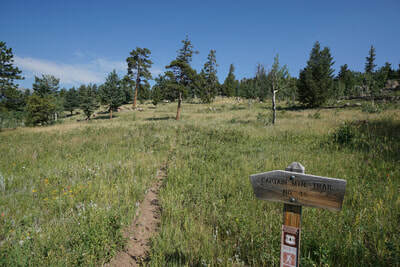 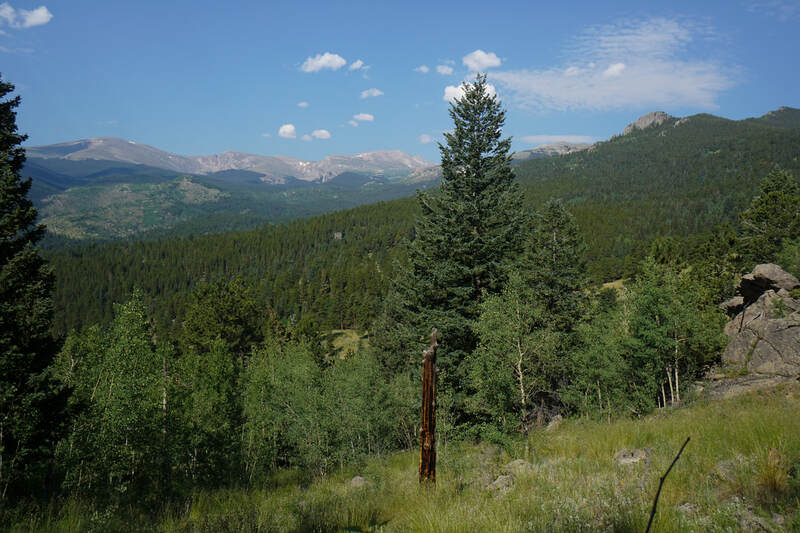 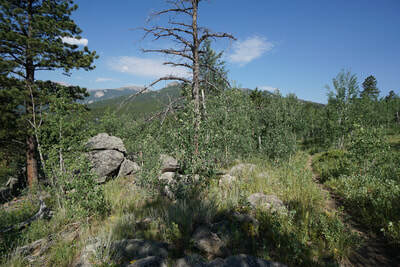 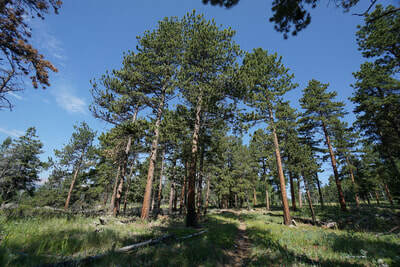 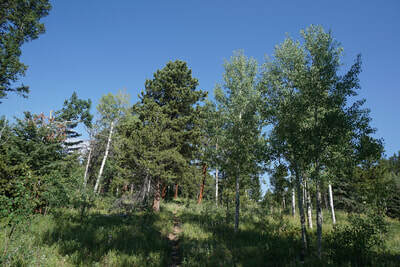 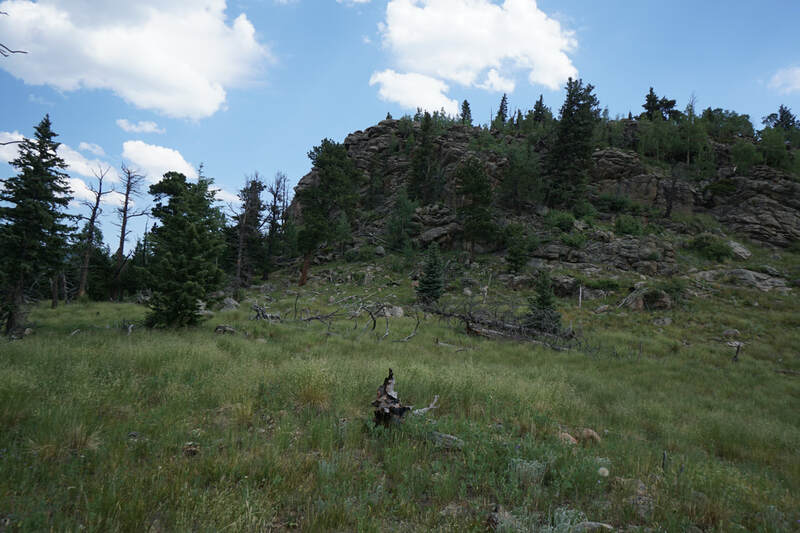 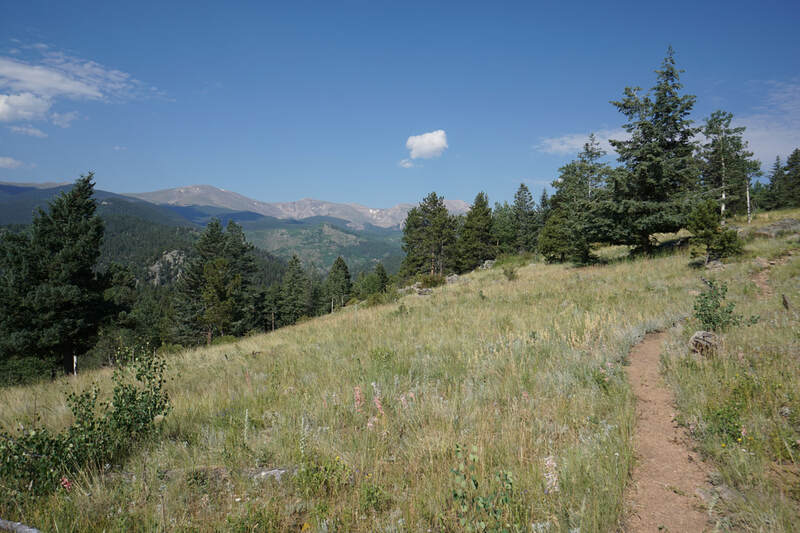 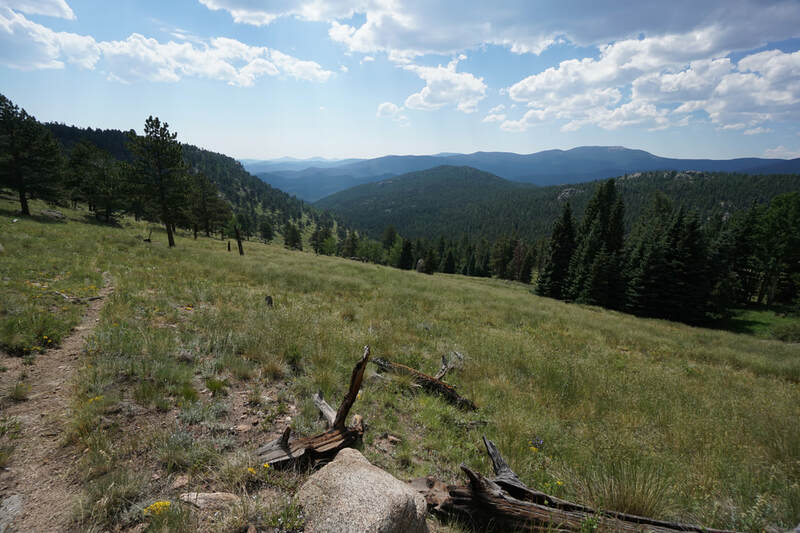 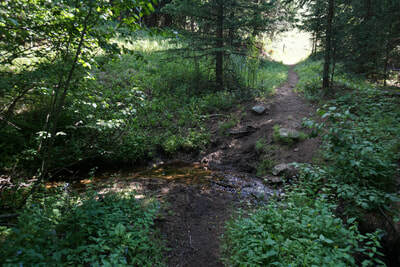 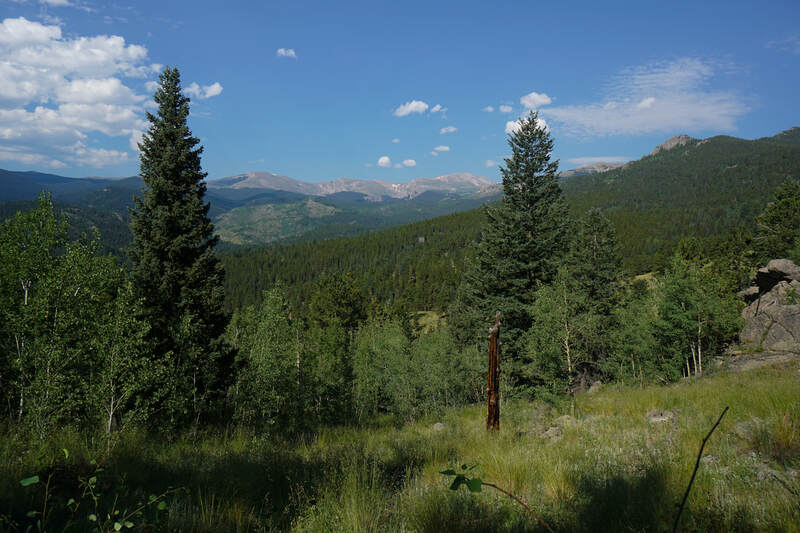 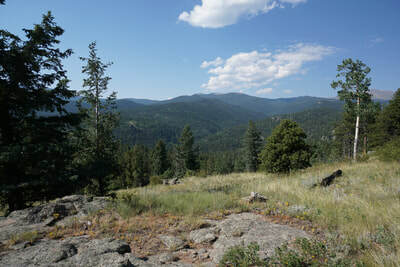 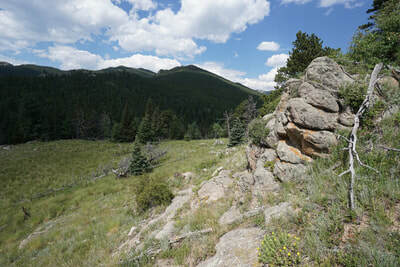 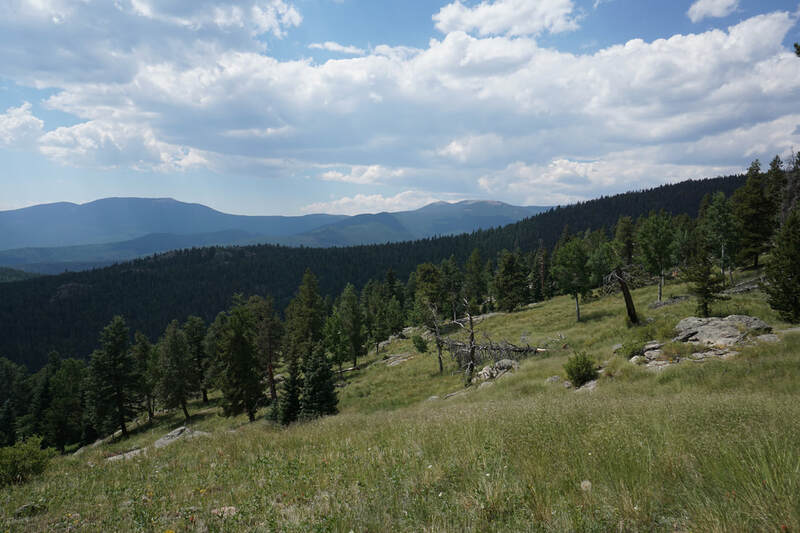 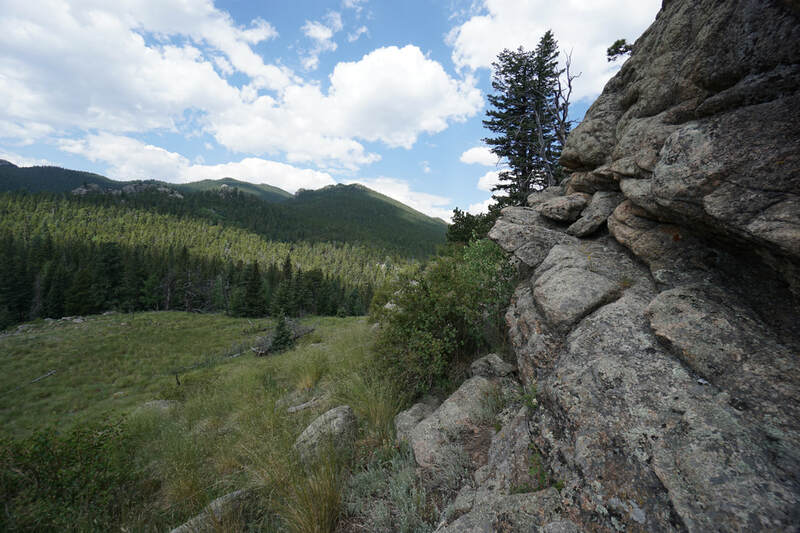 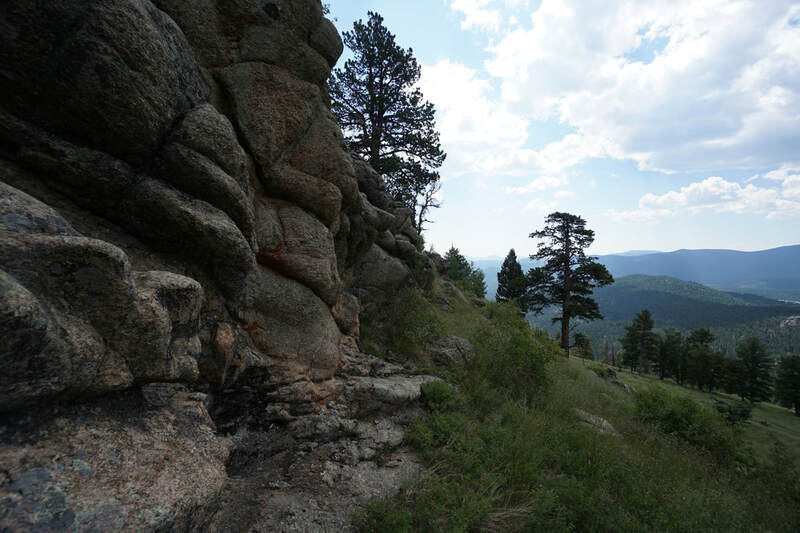 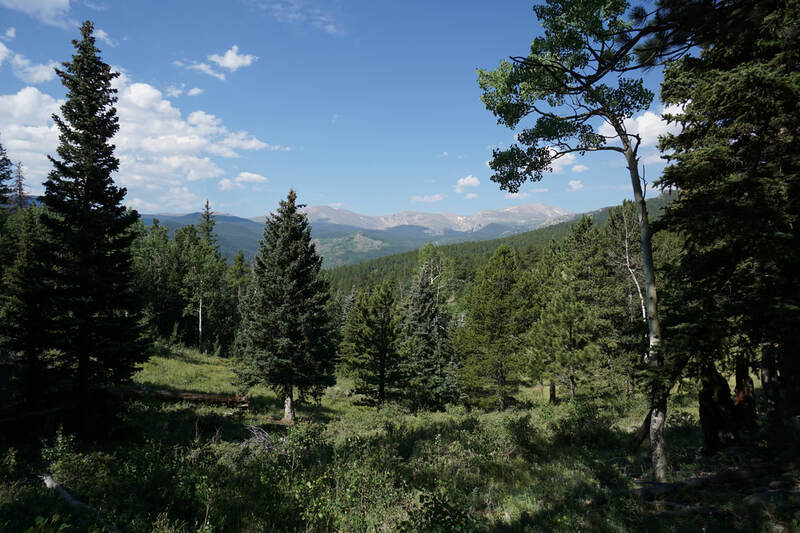 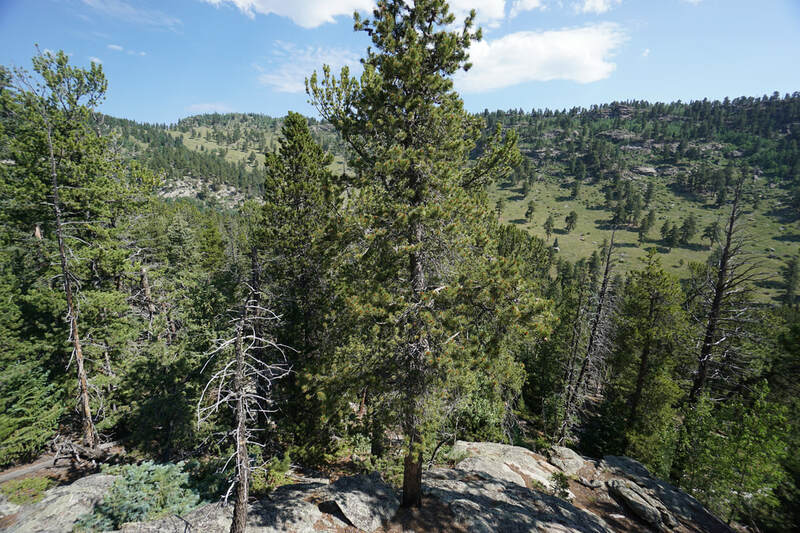 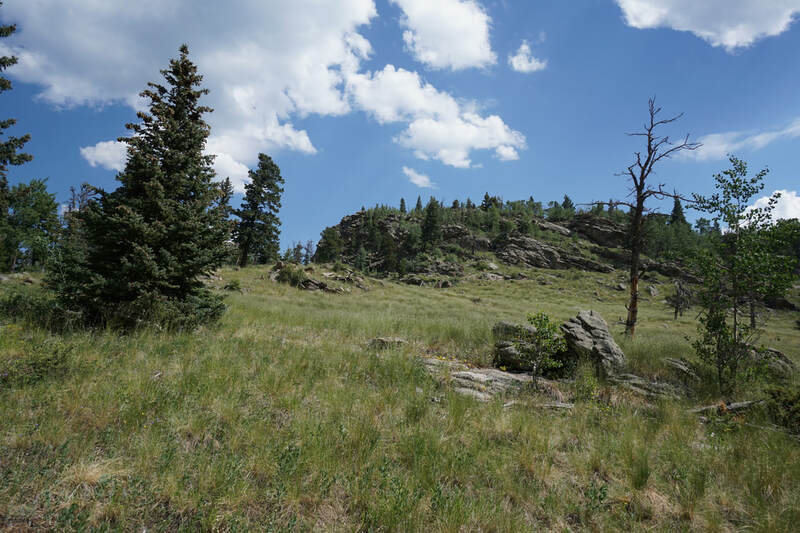 The Captain Mountain Trail starts in the western end of the Mount Evans State Wildlife Area. To get to the trailhead you need to drive about 3 miles of narrow, sometimes steep, but well-maintained dirt roads. 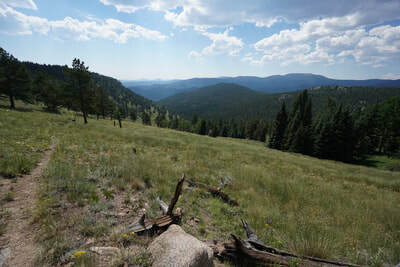 The Mount Evans State Wildlife Area is only open to the public from June 15th to December 31st and the road is only open from June 15th to Labor Day. 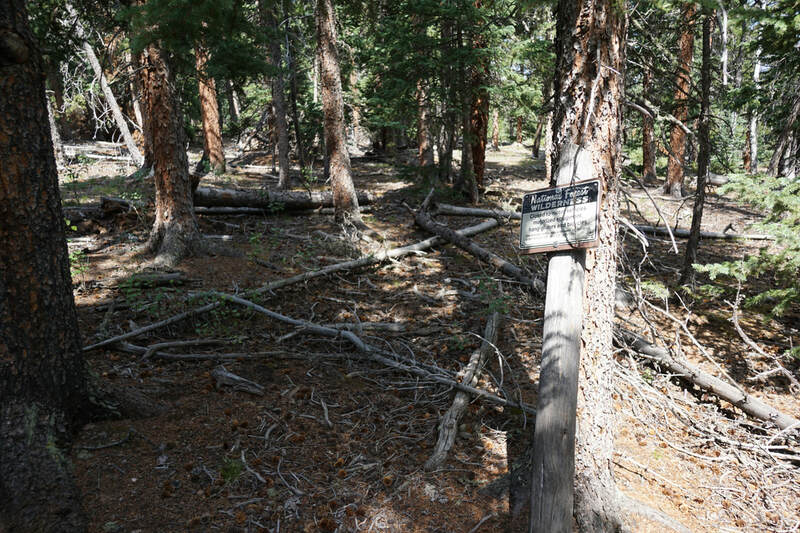 Hence the lack of visitors. 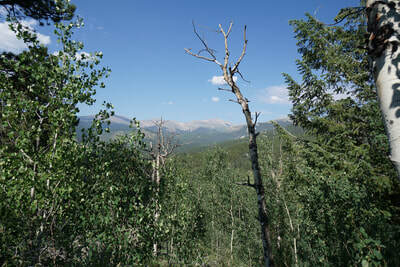 The trail starts off with immediate views of Rosalie and Epaulie Peaks directly to the west. 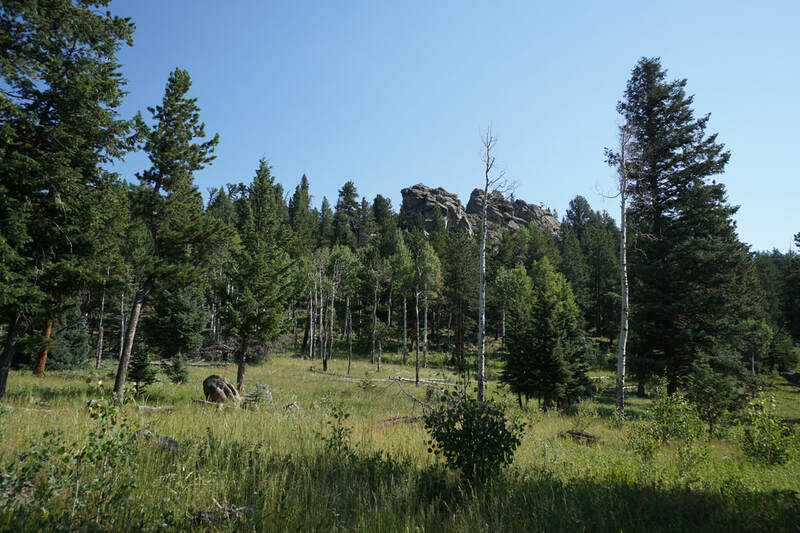 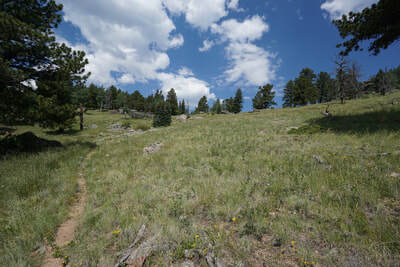 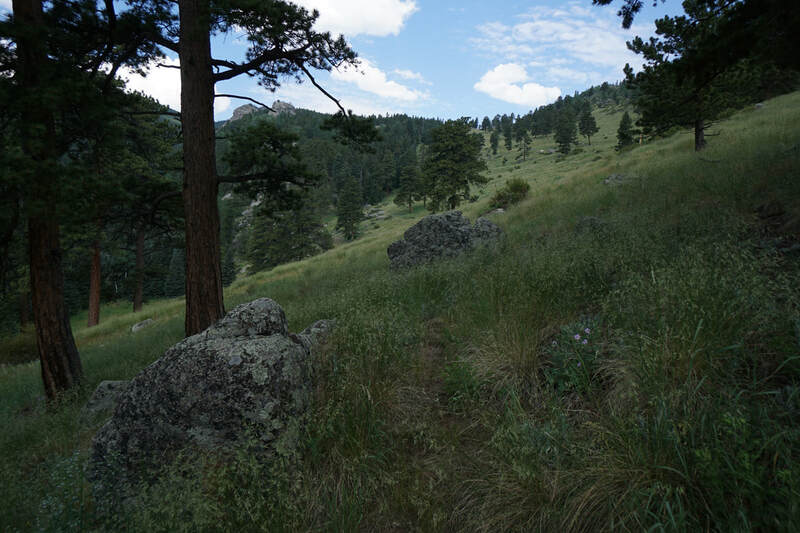 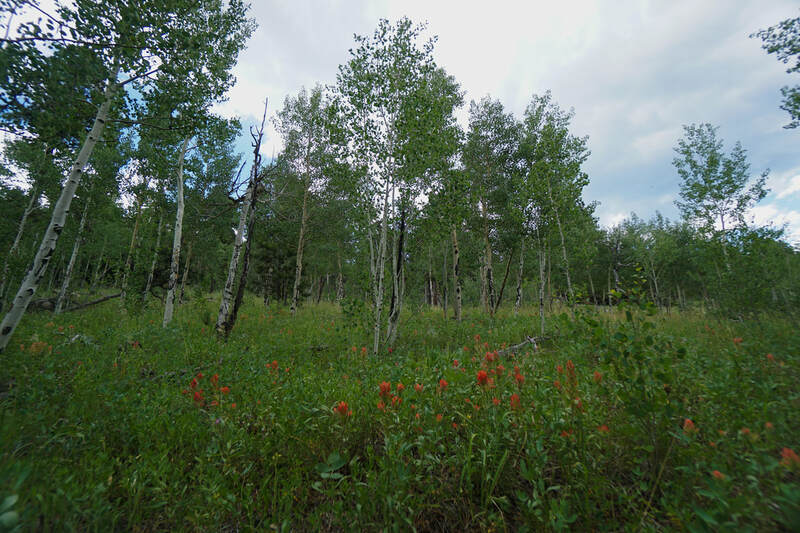 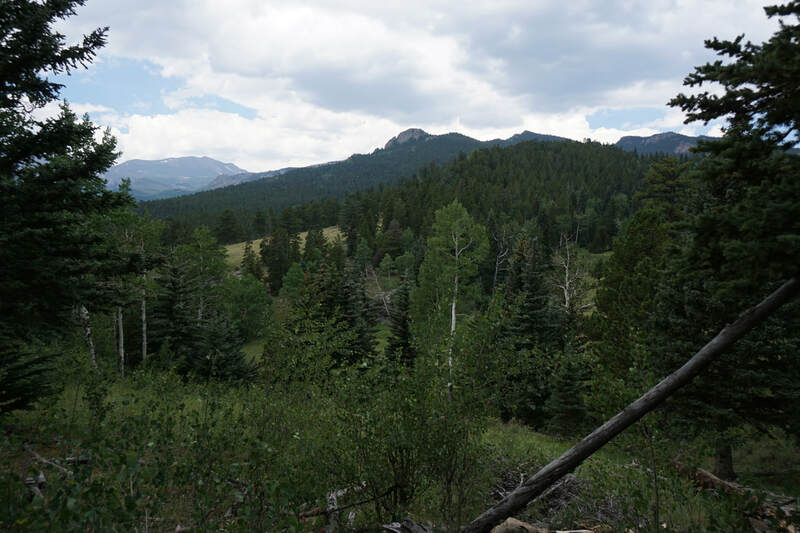 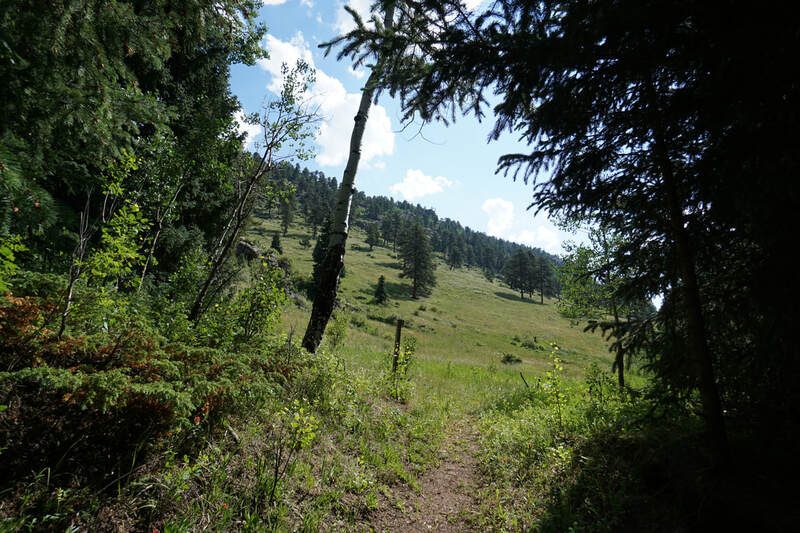 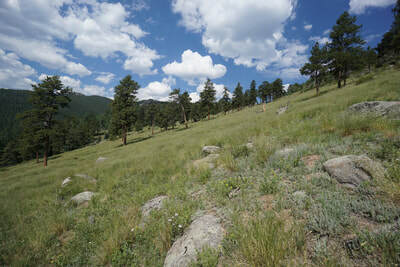 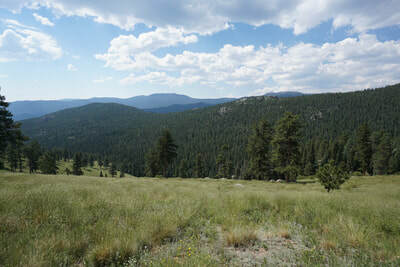 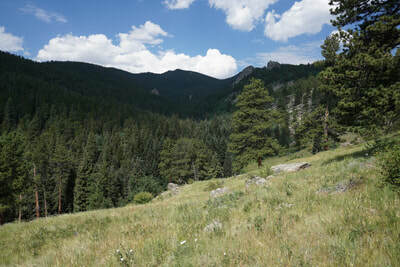 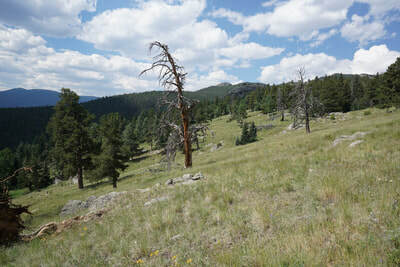 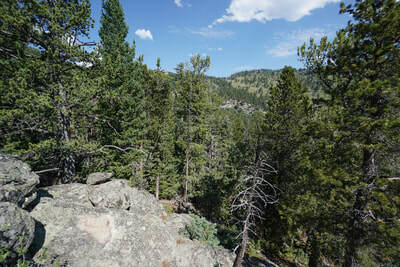 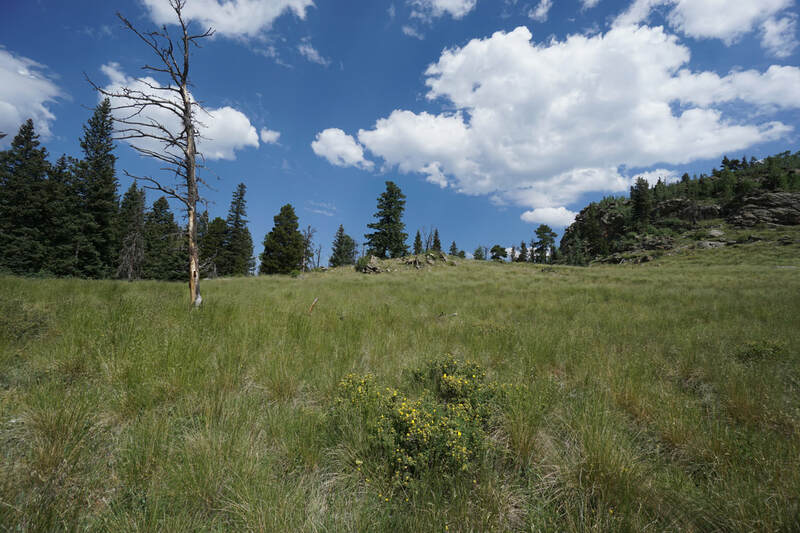 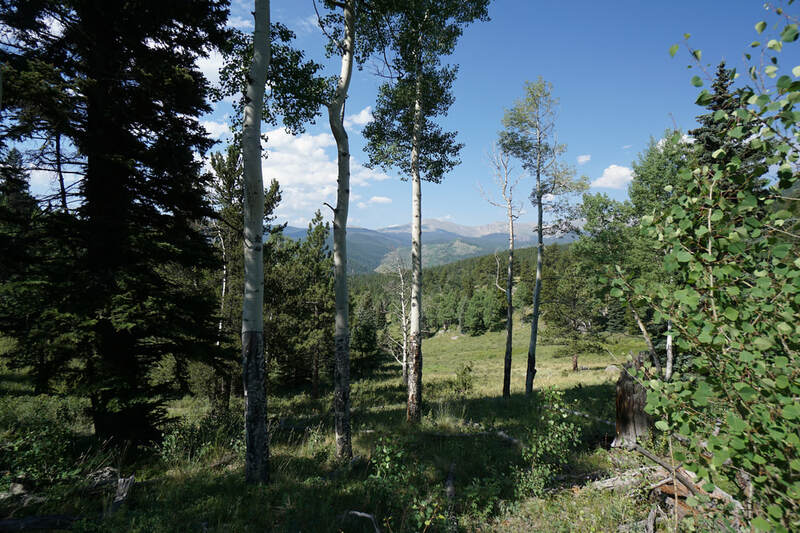 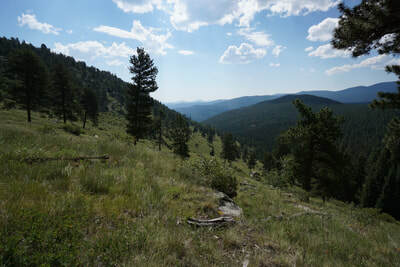 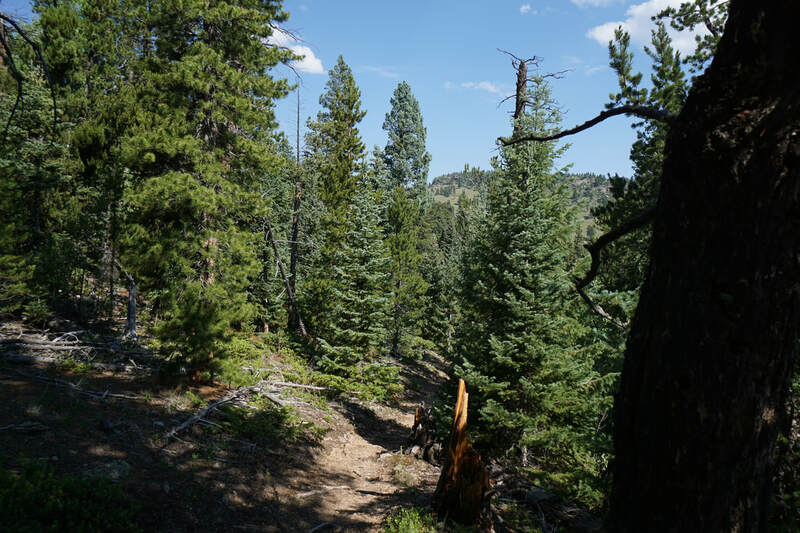 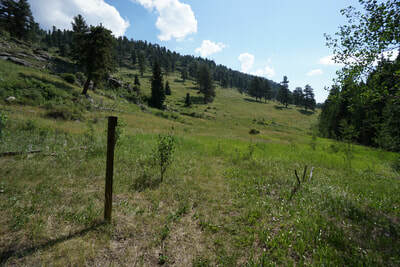 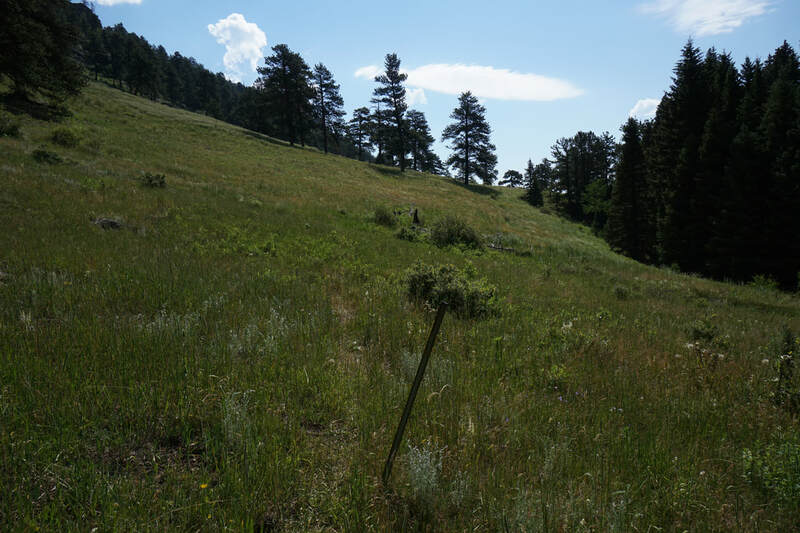 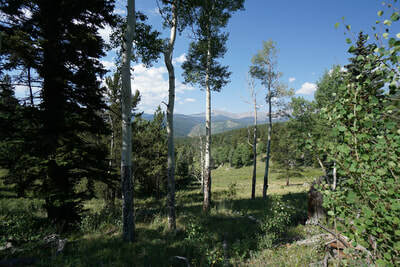 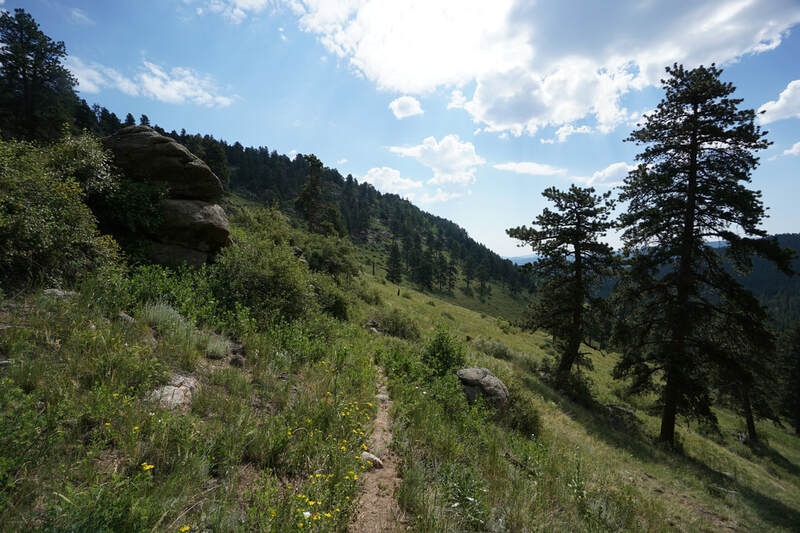 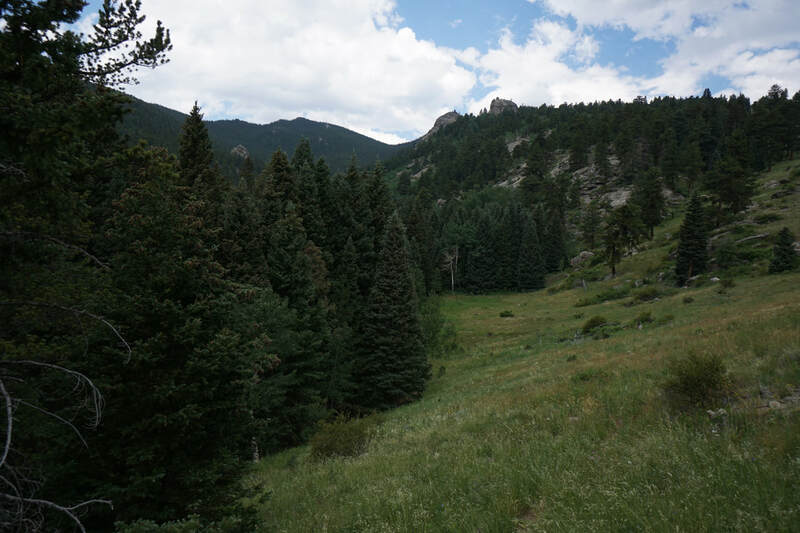 The first portion of the hike weaves through pine and aspen forest on a relatively flat grade with periodic views of Mt. 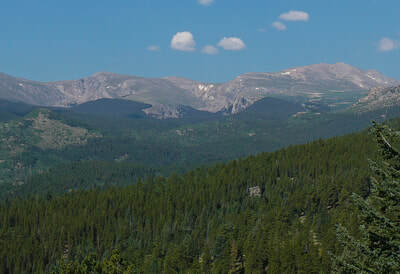 Evans and the surrounding peaks. 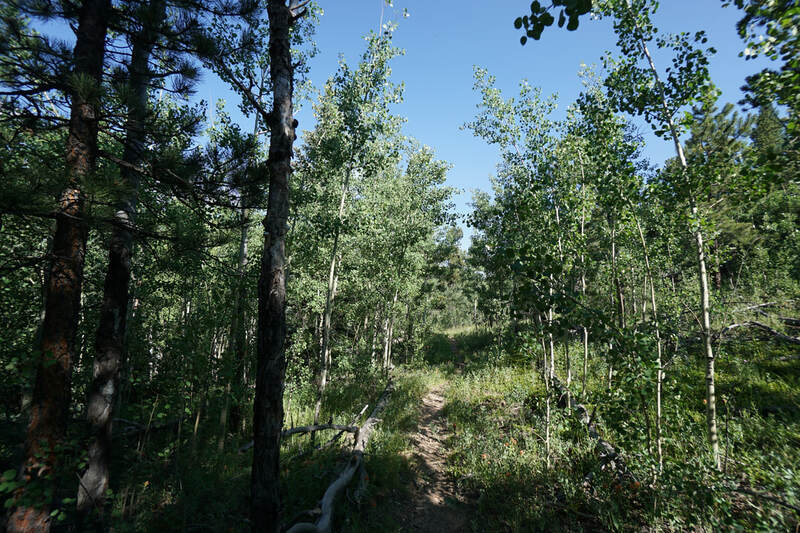 This first portion of this hike is insanely beautiful and must be pure heaven in the fall when the many aspen groves turn gold. Unfortunately, the road is closed during peak aspen season and hiking the road adds 6 miles (RT) to your hike. 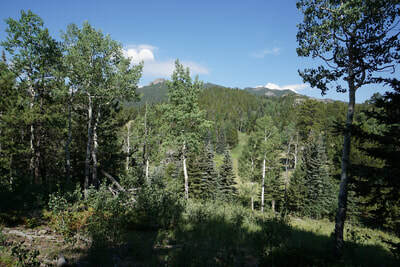 After the views of Mt. Evans become obscured by dense pine forest, the trail descends about 200 feet to Pedee Creek. 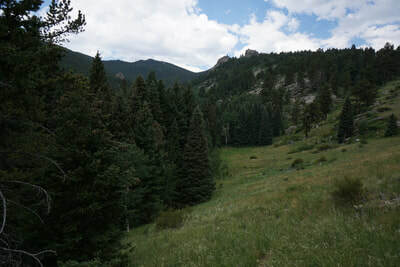 Just past the creek the forest opens up to a truly beautiful alpine meadow and the trail becomes extremely faint. 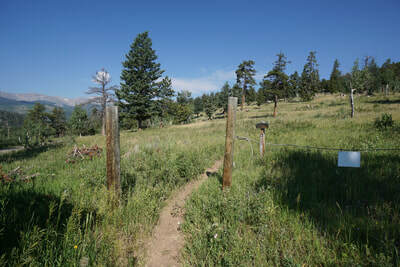 Keep your eyes out for the metal posts to help you stay on trail through the high grasses. 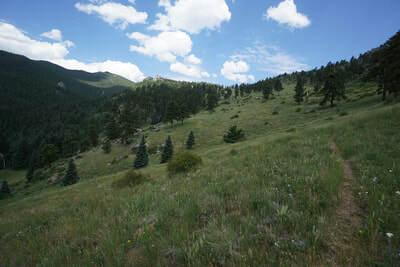 The trail switchbacks up the open grassy slope for about 700 feet to the saddle below Captain Mountain. From the meadow it becomes clear that Captain Mountain is really the end and the high point of a rocky ridge rising from the forest. While the ultimate views from the summit are slightly disappointing, the trail leading to the summit is spectacular. 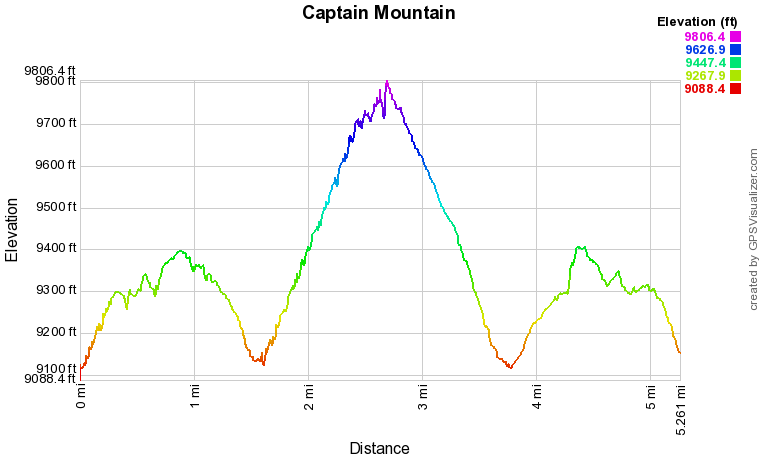 Add in the extra solitude bonus, and the Captain Mountain Trail is absolutely worth the effort. 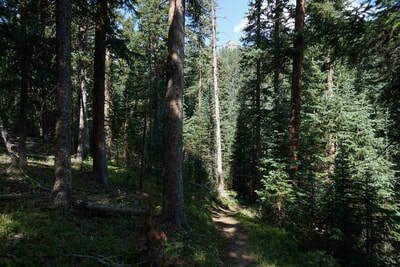 The trail continues for another 9 miles to Echo Lake and I look forward to further exploring this trail in the future.